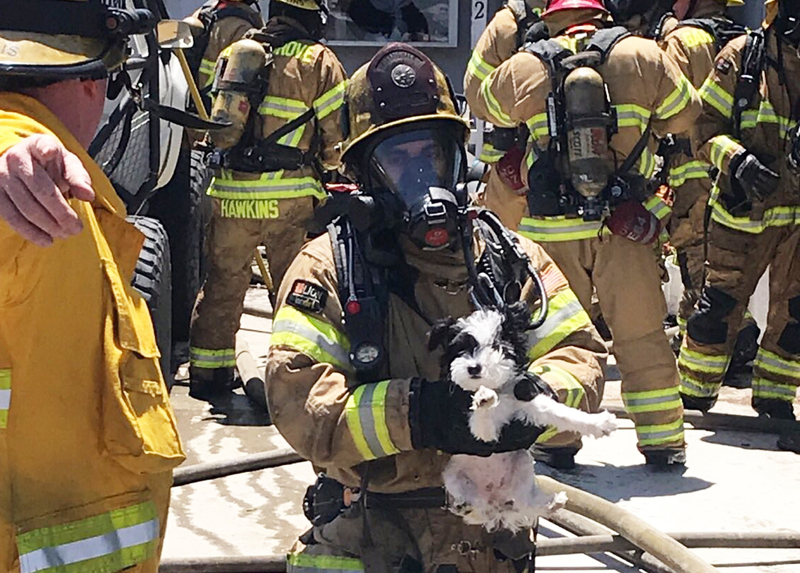 OCFA firefighters knocked down a fire in Westminster on Sunday and rescued the family dog (OCFA photo). A house fire on Sunday morning in Westminster displaced six people and their dog. According to the Orange County Fire Authority, the blaze was reported at 11:35 a.m. in the 6600 block of Kiowa Road. Arriving units saw heavy smoke from the front of the structure. The fire was reported “knocked down” at 11:52. The Red Cross was called to find temporary housing for six persons, and firefighters rescued the family dog.